I love Neapolitan ice cream. 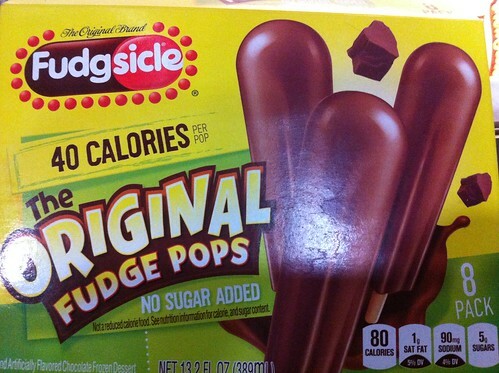 It makes me feel like I am totally ripping off the ice cream company. I mean I am getting THREE flavors for the price of ONE – HAHAHAHAHAh!!! Hey disclaimer. Shut your mouth! 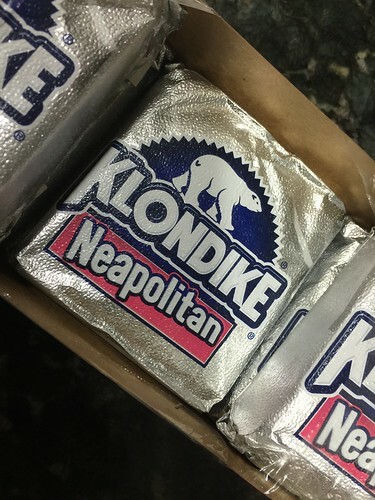 So when I see the Klondike in Neapolitan I am thinking GENIUS!!!!!!!!! I couldn’t wait to get home and open one of these. What would you do for a Klondike bar? How about —actually almost running over an ice cream truck in my neighborhood because I blew the stop sign trying to get home before these Klondikes start to melt??? So these are still freezer fresh and I unwrap and take a bite. Taste tells me I have struck the Strawberry side of things first. Which is great because I love Strawberry. But here it seems a little off. Like a little too much artificial flavoring or something. It’s just not the flavor I want. I skip around the bar to the other side and catch me some chocolate and some vanilla and both of those are great. But I think after this box I will go back to the original Klondike. My Spanish is a little rusty but it doesn’t matter. When I am at Uncle Julio’s and I ask for a “coconut balls” they just smile at me like the fool that I am and know exactly what I mean. CAJETA. It’s the best dessert they offer. It’s a boulder-sized ball of vanilla ice cream rolled in toasted pecans and coconut and then covered in this silky-caramel-y type sauce. WOW. 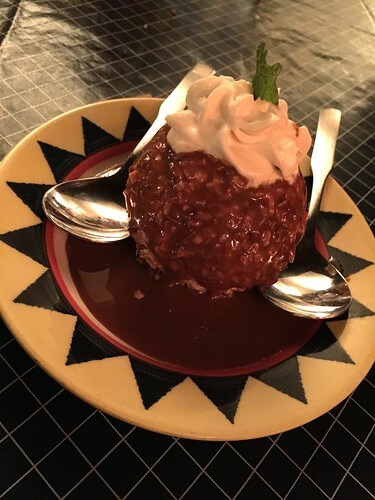 (Yeah and out of all that- when it is time to order one, I can only remember…and mumble….uh….coconut ball please..) It’s that mind-blowing that I can’t ever remember how to order it correctly. Categories Addictive, Frozen Sweets, This S#!+ is ADDICTIVE!! Where would we be without these? I mean seriously, who doesn’t like these? Best known maybe as a summertime treat but I find myself craving ice cream in the dead of winter…and these come in handy. Okay Blue Bell, you gotta give it up. 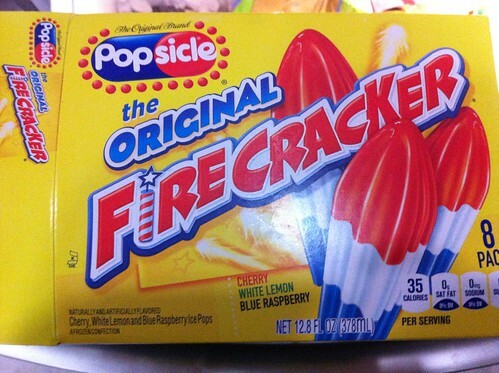 Tell me just how in the bloody-blue-hell can you keep coming up with these flavors that knock my socks off? 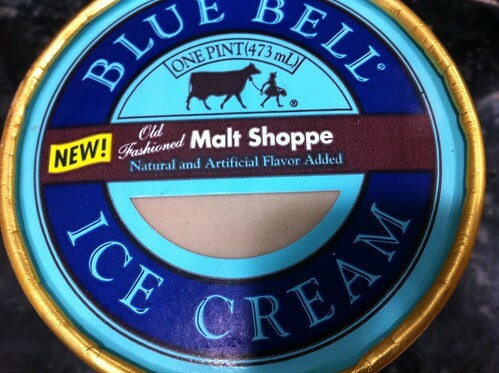 I am in LOVE with this new ‘Bell….Old Fashioned Malt Shoppe. It is absolutely simple. Simple and perfect. It is chocolate-malt ice cream with chocolate-covered-milk-balls (think whoppers but smaller) in it. What makes this so amazing is that the ice-cream duplicates the actual flavor of the soda-fountain type malted – to the letter. Whenever you get a chocolate malt at a fountain, unless you specify, you usually get one ladle of chocolate syrup. So your malt tastes like chocolate and has that tan-tint to it…but it’s not overly chocolate. Dairy Queen makes one of the best and most consistent chocolate malts I have ever had…and this ice cream tastes so much like it, I might not ever need to go to DQ again. It’s incredible straight out the container – but I can imagine this with a little milk and a VitaMix making a soda-fountain-style treat in my own home anytime the notion strikes me. I would have made one for this review but I ate the entire pint while catching up on my cartoons earlier. Dear Jesus, please do not let this be one of those temporary flavors that disappears forever like the Groom’s Cake they did years past. Ah, the original. 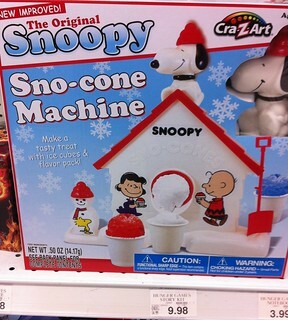 To me at least – this was my first brush with at home sno-cones. 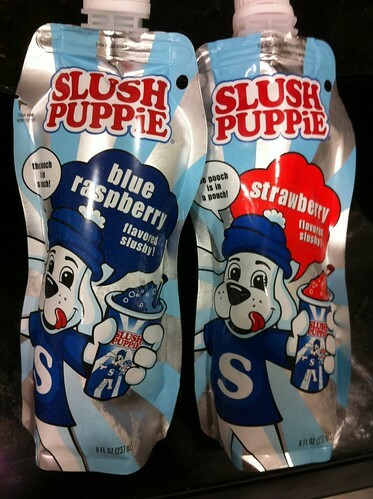 My best friend’s sister had one and we constantly stole it to make sno-cones. It was fun but it was an absolute mess. Time after time I thought if I added more ice or cranked it faster – I would get fresh-powder-type-snow. No joy. Just a constant mess. So seeing the box that it’s “new improved” I can only hope they got a better shaver mechanism on it. Performance aside, it’s still the absolute best ice breaker (no pun intended) to have sitting on my bar. Everyone wants to see it, or play with it, or shave ice into their cocktails from it.